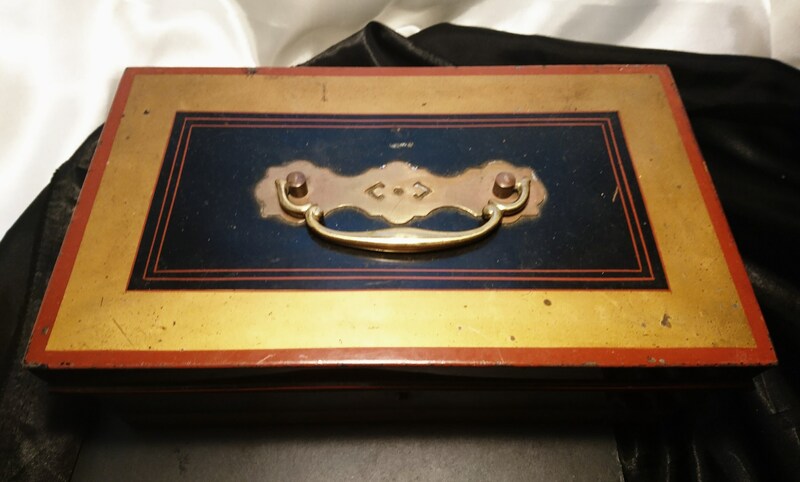 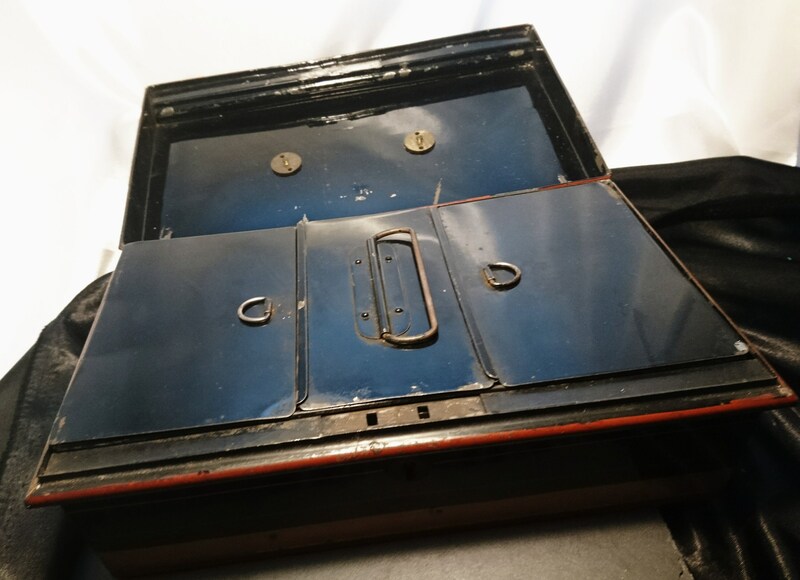 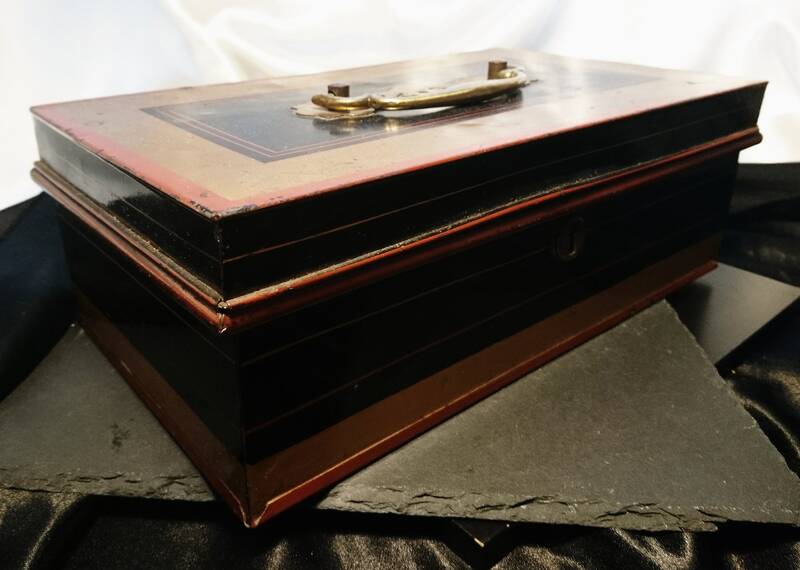 A very attractive antique cash box or money safe. 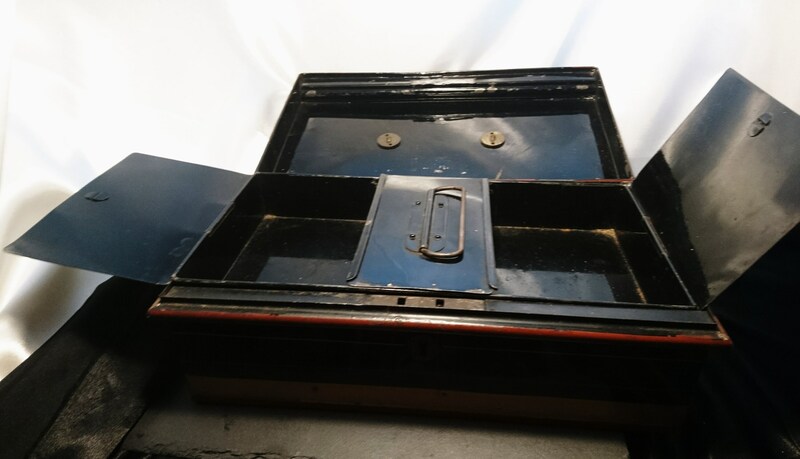 Victorian era this cash box was probably used in a store or for business with different compartments that lift out and reveal a space underneath where notes and ledgers would have been kept. 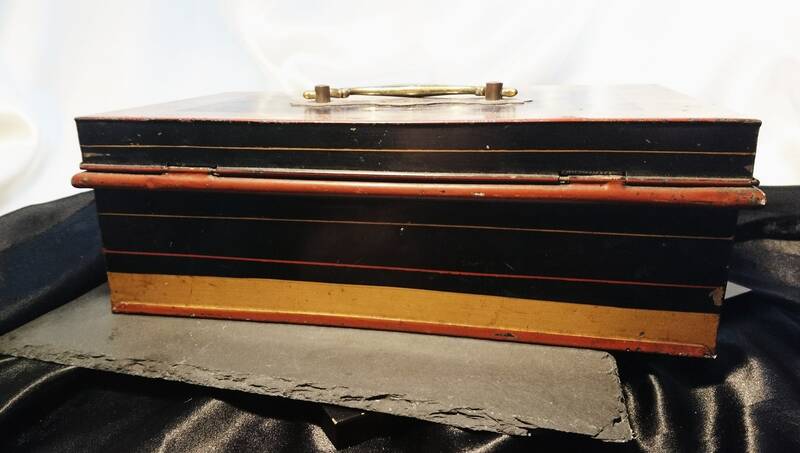 It is made from metal that has been lacquered in black with gilt and red painted highlights, the inner compartment is also lacquered. 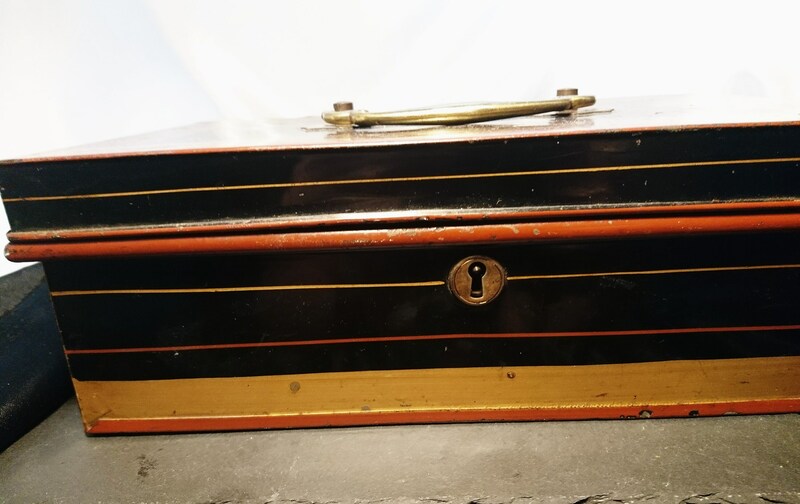 It has an attractive brass carry handle and a front lock but no key, there has been a repair to the lock which has been soldered at some point, therefore it does not lock shut but the lock could be replaced if desired. 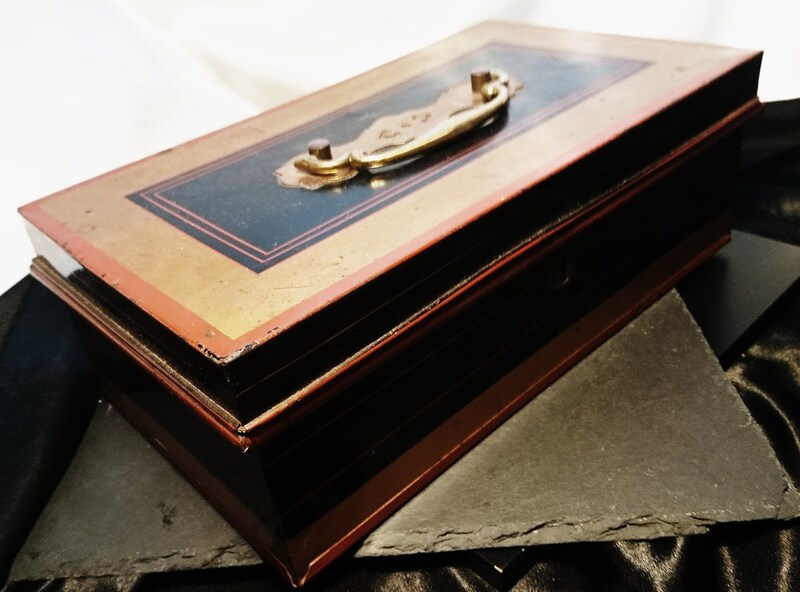 A great collectors piece for your shop, stall or even home. 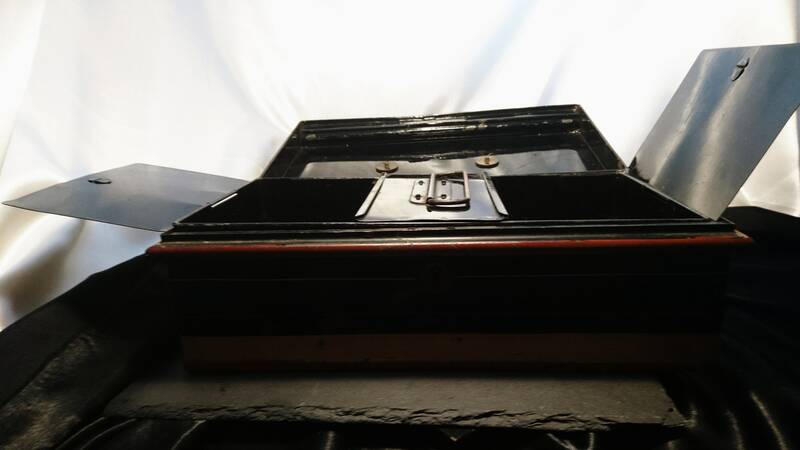 Approx 4" height, 11" width and 7" length.